QUESTION: You once mentioned that Guantanamo Bay was a violation of human rights and Obama had pledged to close it when he ran for office the first time. Yet it is still open. Why is America acting in a manner it condemns others? ANSWER: The Guantanamo Bay detention camp is a United States military prison located within Guantanamo Bay Naval Base they call GTMO. It is on the coast of Guantánamo Bay in Cuba. Since the inmates have been detained indefinitely without trial and several detainees have allegedly been tortured, the operations of this camp are considered to be a major breach of human rights by Amnesty International. I fully agree. I have some actual Washington sources on this subject. They tried to release some quietly and sent them back in jeans and T-Shirts. They were killed back home because (1) these people are not terrorists, and (2) they assumed they were now working for the CIA. These people have NEVER been given a trial because there is no evidence. If they were terrorists, they would have put them on trial and paraded them as a huge victory. You must ask – Why have they not done that? The famous Guantanamo prisoner, the only one put on trial, and he was acquitted by a New York jury of 223 counts out of 224, and found him guilty of conspiracy of which anyone can be convicted, since it is just an agreement or claim that someone knew about something yet did not participate in the crime. This loss is why they will not put anyone else on trial for he was their BEST case! Ahmed Khalfan Ghailani was convicted by a federal jury on ONLY a single charge of conspiracy to destroy buildings and U.S. property in connection with his role in the 1998 U.S. Embassy bombings in Kenya and Tanzania. The Jury found him not guilty of 223 counts. Ahmed Khalfan Ghailani was the best case they had. 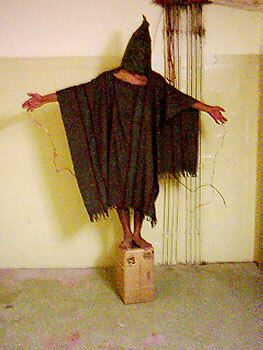 Obama reiterated his first campaign promise to close Guantanamo Bay and end torture back in 2008. Why has nobody else been placed on trial? Because they have no case. When they tried to secretly release some prisoners, they sent them back in jeans and t-shirts. They were killed because others assumed that they had been brainwashed by the Americans. Just recently, Mr. Khattala was convicted last year of four charges but acquitted of 14 other serious counts after a seven-week trial. Judge Christopher R. Cooper was criticized for giving him only 22 years in prison instead of life. He pointed out that Mr. Khattala was essentially convicted of property crimes and that his actions did not warrant a life sentence. Judge Cooper praised the government for its professionalism which is covering up their usual casual approach always exaggerating everything and then asking always for life or death sentences. Yet the United States passes the Magnitsky Act on the pretense that a Russian citizen was treated badly in a Russian prison. 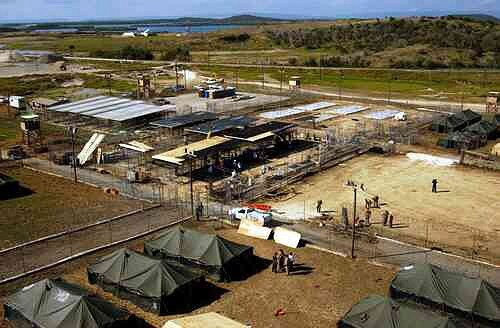 The track record at GTMO is a national disgrace and proves we live under a veil of propaganda. Waterboarding is torture the same as throwing you into freezing cold cell and then into a hot one which is what they were doing to me. Then they were torturing people with electrodes and stripping them naked in violation of their religion. We can twist the words and pretend it is not torture but America is no different from any other state they pretend violates human rights. I do not understand why these people feel they have to bend every principle of law just to win at all costs. « Is the Allegations Against Kavanaugh like the French False Trial of Child Abuse?